This Diwali festive bumper discount offers and attractive gifts schemes announced by two major online giants Flipkart and Snapdeal impacted sales of retailers and dealers in Lamington Road market. Lamington Road market which used to be crowded during festive season, received mixed response from customers. Traders accused E Commerce companies for adversely impacting their sales and profit margins. Hitesh, owner of Nageshwar Infosys said that customers were less enthused to buy electronics this Diwali. Rajesh Jain, Owner of Mahavir Electronics pointed out that though customers are rapidly inclining towards online shopping, but those customers who want proper after-sales-service come to dealers. “There are many issues with services in online buying. Customers come to us and complain that they are not getting proper service support from online portals. We have loyal customers who come to us not just to buy electronics but to get proper guidance and support. These customers have retained our business”, he said. Kapil Mehta, Owner of Preshka electronics said that to survive in the market, most of the retailers have now started buying goods online and reselling in off line market. He said that retailers are now diversifying to other businesses as the profit margins in IT products are not enough even to recover cost. Samir Mehta, owner of Computer Corner said that under costing by online giants was major reason of dealers anguish. He said that sales were down by almost 60-70 per cent this festive season. “We accept that E Commerce is eminent but there should be level playing field for both online and offline retailers. Under costing and huge difference in online and offline pricing does not only create confusion among customers, it also creates sense of suspicion about dealers among them. Predatory pricing should be stopped to save small retailers”, he said. Lamington Road is famous for its wholesale and retail market in electronics goods. 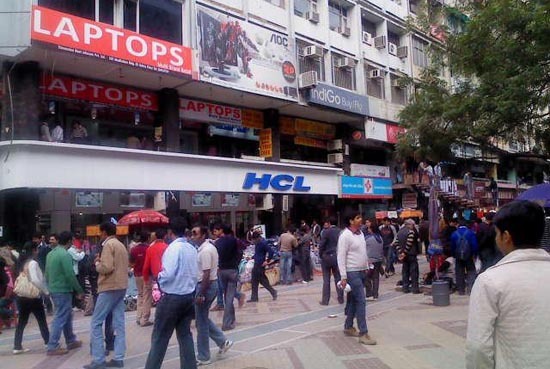 There are around 1200 retail shops mainly comprises computer goods, electronic items, television equipment, and wireless equipment. Lamington Road dealers accuses E Commerce for poor sales in Diwali 0 out of 5 based on 0 ratings. 0 user reviews.